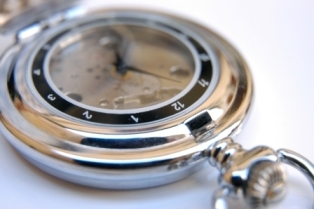 Home » Extra Commentary » Daylight "Saving" Time...What Does It Save, Anyway? I've always liked long summer evenings, so I look forward to springing forward with daylight saving time every year. But not everyone feels the same way, and I recently learned some things about DST that make me wonder if it's a wise policy or an industry scam. Daylight saving time arrives earlier this year, so that means that we're going to spring forward on March 11, a full three weeks sooner than we've been springing forward for the last few decades. The latest adjustment to DST (there have been many over the past hundred years or so) is part of an energy bill passed by Congress in 2005. Essentially, to get more sunlight out of the day. The idea is that the more natural light that we get in the evening, the less energy we use when we get home from work. If it's light out, we won't turn on the lights. Supposedly. The "official" reason behind Daylight Saving Time (also called Summer Time, in some parts of the world) is energy conservation. Studies done in the 1970s by the U.S. Department of Transportation show that we trim the entire country's electricity usage by about one percent EACH DAY with Daylight Saving Time. Daylight Saving Time "makes" the sun "set" one hour later and therefore reduces the period between sunset and bedtime by one hour. This means that less electricity would be used for lighting and appliances late in the day. Researchers and Congress have found all kinds of great things to say about DST. Traffic accidents are supposedly reduced significantly, as are crimes such as vandalism. [M]ore daylight outdoor playtime for the children and youth of our Nation, greater utilization of parks and recreation areas, expanded economic opportunity through extension of daylight hours to peak shopping hours and through extension of domestic office hours to periods of greater overlap with the European Economic Community. Ah, there it is. It's a nice idea that kids play outside longer and parks get used, but another important point is that we stay out longer and spend more money when the weather is good. Because the sun won't rise until between 7:30-8:30 a.m., we have to turn on our lights in the morning, thus squandering any electricity savings. An extra hour of daylight after work means that people will be tempted to go out shopping instead of going straight home, thus increasing fuel use. The DST extension here in the US will put our time out of sync with Europe's, which is estimated to cost the airline industry $150 million per year. Although we all say "daylight savingS time", there's technically not supposed to be an S at the end of "saving", even though it sounds better. Hawaii, American Samoa, Guam, Puerto Rico, the Virgin Islands, and most of Arizona do not fall back or spring forward. Indiana used to be split on the issue - only now is the entire state legislated to observe DST. Livestock farmers are generally opposed to DST because they believe that changing schedules is bad for the animals. The concept was first introduced by Benjamin Franklin. Canada has pretty much been forced to use DST because their economy is so closely tied to ours. The exception would be my Uncle Percy in Saskatchewan. He doesn't observe it. Countries near the equator are more or less blissfully oblivious to DST, because it's ALWAYS SUMMER WHERE THEY LIVE. The change is wreaking havoc on computer techs the world over, who are just now getting around to updating software with patches to adjust the DST date (even though we've known about this for 2 years). Lots of companies are providing software patches to help you and your little machines adapt to the new DST timing. Click here for some valuable links to vendor patches. I condone this entire initiative for the States to do something like this. Don't get me wrong. I understand the benefits to having an extra hour of sunlight to catch up on your Vitamin D, an extra hour for Hallowe'en (I am all about the candy), and an extra hour for everything, but this goes to show a couple of things. 1. Not everyone in the States is on board. You've mentioned a couple of them - livestock farmers, states like Indiana split in half.. I mean, the bad thing about not everyone in the States being on board is that you have people on 2 different time zones, and timing will just get messed up!! If you're travelling from one state to another, and you expect the time to be 3 p.m. for your meeting, but it ends up being 4 p.m. half an hour away because of DST... That's just ridiculous. Why would you want to complicate businesses even further? I have a hard enough time waking up for 8 a.m., but if I have to go to a non-DST section and actually wake up at 7 a.m., I'm going to be mighty cranky. 2. Imposing DST on countries that never wanted to be on it in the first place. Can you imagine the havoc? Truckers from Canada, coming down to do a delivery at 11 a.m., and getting there for noon, or later, and having missed their loading dock slot, and waiting for 3-4 more hours, costing everyone more time and money because of DST because SOME states aren't doing it all the way, or what have you. The whole point of time zones, was so the world could be divided, in vertical chunks so everyone could have a proper idea of what time it was in another part of the world. What's next? The States will decide that the world should stop revolving because it's making the yokels dizzy? Or starting an initiative to completely and physically, drill down into the Earth and physically cut the States off from Mexico and Canada, turning it into an island so it'd be harder for immigrants to sneak over? 3. Being as selfish as a toddler, and showing the world utter and brazen disrespct. You're not considering that the world has to now adjust to the whims of the States. I understand that the States is a powerful global player, bla bla bla, but they're abusing that position and status by changing the damn time zones to suit THEIR needs. Can no one see how the world would view how selfish the States is being? And how they're kind of acting like a cranky (albeit greedy) toddler throwing a tantrum because they want to stay up later? If every country wanted to be as selfish as the States, I'm sure they could think of a whole bunch of things to do. This is just making the States seem more of a target to other countries who already hate their guts. So are you for or against DST? I used to live in Western China, and mainland China is allon the same time zone, Beijing Time. It's akin to living in San Francisco but running on New York time. So I'd have to start teaching at 8AM, which was really 5AM local time. However, some of the locals felt like they should go by Western Time, so when I was getting ready to go to bed at 12PM, coworkers would show up claiming that it was only 9PM and didn't I feel like preparing them some tea? Forcing everyone to be on the same time zone was just plain odd. I don't think DST is really something that Americans mean to impose on everyone else - just something that seemed like a good idea that everyone was then obliged to follow. But out of all the things that we can and do mess up, worldwide, I'd say it ranks pretty low, wouldn't you? No, this is obviously a sinister industry scam. It just shows how big business has been influencing government since the dawn of the republic. I will bet that Daylight Saving Time also gives children leukemia. In protest I am going to go ram my van into a shopping mall and then force the police to disturbingly pepper spray me into submission. You might have something there with the leukemia theory. I'm on it. I'll let you know what I find! Yes, get right on that. DST, in my opinion, is one of the most disruptive things I deal with in life. It does not save energy, in my house anyway. It makes putting my kids to bed a nightmare. It is physically a drain and I don't feel it's healthy for anyone. If you are against DST, please contact your congressmen (and women) and let them know. If enough people speak up they will listen, in theory. It certainly can't hurt--contact your senators and representatives and tell them you want DST gone! I don't really care one way or another. It strikes me as pointless to change time to suit our needs. I do love the long summer evenings, though, I have to admit it. I just thought it was interesting that, although DST is pitched as an "energy-saving" idea, it's really all about getting us to spend more. I'm part of the editorial staff at Weekend America, a weekly radio program that airs nationwide on National Public Radio affiliates. I really enjoyed your article and am interested in speaking with you further about this subject. Given that 2007 was the first year to have an extended DST period, Weekend America is interested in speaking with proponents and opponents of this change. This is especially timely since DST will come to an end this Sunday, November 4. We are interested in finding out whether this extension has had any real impact on energy conservation, and if so, how the impact has been measured. If this is not the case, we are interested in learning about the misunderstandings of DST and how people view the significance of the DST extension. If you're interested (and available) to talk this week, please contact me at sshin@americanpublicmedia.org. Thanks so much! The affect was much too great on technology for this latest change brought on by these candy manufacturers. I understand why they wanted this, but the affect has disturbed technology for millions of people worldwide and the candy industry was not in dire straits, they just wanted a bigger piece of the Halloween pie. Personally, I was affected greatly at work. Now I have a reason to hate the candy industry. I hope they lose money year after year. Go Healthy!!!! !